Click the photo to visit the desired gallery. 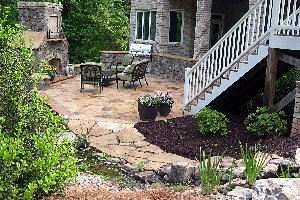 Browse through our archive of Stones & Streams projects incorporating stonework in landscapes and interiors, including patios, walls, fireplaces, bouldering, and walkways. See the dramatic impact of quality stonework! 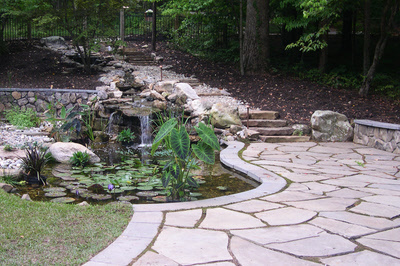 View a selection of our projects featuring water gardens, streams, waterfalls, and formal fountains. View the use of moving water in creative ways for ideas and inspiration! 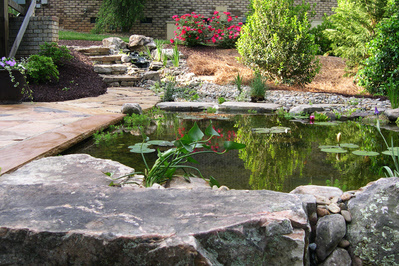 Select from a variety of key stonescape and watershape features to create your own gallery of related projects. Stonework detail and styles explained and discussed. Closeups and construction details provided.